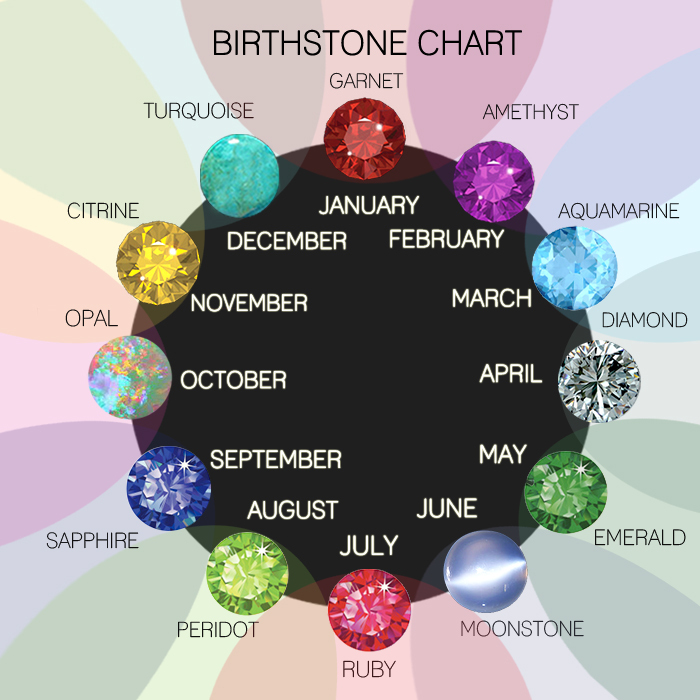 Most people know there’s a birthstone associated with their birth month. Some people can name their birthstone, others have a hard time coming up with it. Though you might not connect your birthstone to your health, many believe there are healing properties attached to these stones. Garnet is known as a stone of energy and revitalization. It’s known to boost internal energy and speed up the natural healing process. It’s also said to be a stabilizing force in times of uncertainty. Amethyst is a very spiritual stone. It’s actually believed to enhance intuition and clairvoyant abilities, though most people aren’t specifically aware of this. More commonly, it’s regarded as being as a peaceful and soothing gem that sometimes heightens consciousness in dreams. Amethyst and aquamarine may calm the wearer, but diamonds are known to amplify energy and recharge the body. They block electromagnetic stress, detoxify the body’s systems, build stamina, and even reduce allergies and other chronic health conditions. The emerald is one gem that’s known more for treating physical ailments than spiritual or mental issues. Its healing properties are excellent for treating illnesses and disorders of the heart, lungs, muscular system, and spine. June has been linked to several different birthstones. The month’s classic birthstone is pearl, but many people lean toward alexandrite because of its unusual color and appearance. Pearl is known for treating disorders of soft organs, such as the intestines. It also improves the skin. Alexandrite is said to stimulate compassion and put the wearer more in tune with the feelings of others. July’s birthstone is ruby, which is one of the more beautiful and recognizable gemstones. Rubies are supposed to make the wearer feel more passionate and attractive. The ruby is believed to bring balance to the reproductive system. Peridot is a symbol of strength. It’s supposed to eliminate lethargy, exhaustion, and apathy, while strengthening metabolism and immunity. It also helps to treat conditions and disorders of the heart, lungs, gallbladder, spleen, and intestinal tract. In previous centuries, sapphire was used as a guard against poisoning and evil. Today, it’s believed to retain similar healing properties. It’s typically used for the treatment of blood disorders, cellular disorders, and overactive body systems. Opal is a powerful gemstone that has both cognitive and physical healing properties. Cognitively, it enhances memory and creativity. Physically, it’s been known to treat fevers and infections, while also cleansing the kidneys and blood. Traditionally, topaz has been seen as a symbol of love, affection, and passion. Its yellow color is associated with strength and is believed to fortify the nervous system and stimulate better metabolism. Cognitively, topaz wards off negative emotions. Finally, there’s turquoise. Known for its soft blue color and natural, rustic imperfections, this gemstone is referred to as the “stone of heaven.” Though it’s often credited with warding off evil spirits and providing good fortune to the wearer, it also has plenty of physical benefits as well. Turquoise helps with the absorption of nutrients, stimulation of the immune system, regeneration of tissue, and detoxification. It’s also frequently used for purifying the lungs, healing the eyes, and treating stomach problems and viral infections. Certain people put more faith in the healing properties of birthstones than others, but there’s tremendous value in adorning yourself with the very real and tangible energy that these beautiful and precious gems provide. If you’ve yet to experience the benefits of your birthstone, why not think about investing in some jewelry?